Sugarhouse Close is within easy walking distance of the University of Edinburgh, and a stone’s throw away from The Royal Mile - making it one of the most coveted addresses in the city. Explore Edinburgh’s regal past at the Palace of Holyroodhouse, wander along the historic Royal Mile and discover a taste for Scottish BBQ at local student hangout Reekie’s Smokehouse. Take a break from bustling city life with a walk across the stunning wilderness of Holyrood Park, just five minutes from your door. 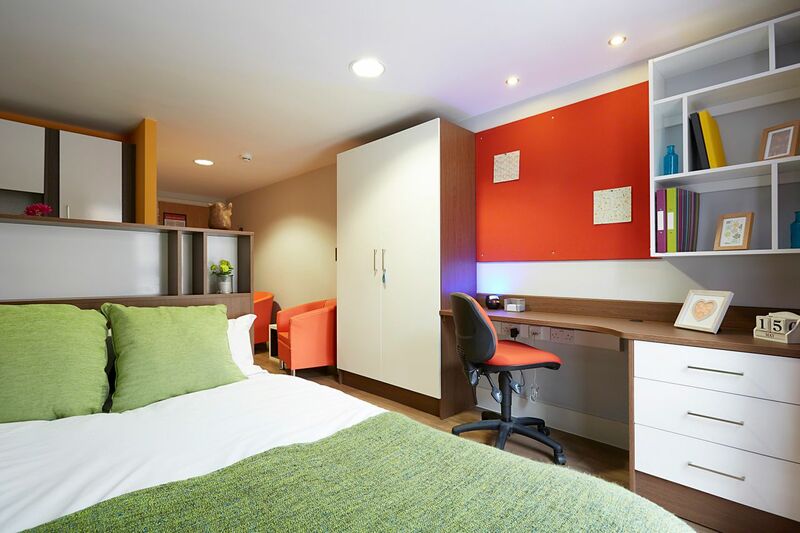 Experience the freedom of off-campus living while remaining within easy reach of your uni. Sugarhouse Close is a 15 minute walk to the University of Edinburgh, while nearby transport links provide frequent bus services to the rest of the city’s campuses. Pick up a morning coffee at the nearby Black Medicine Coffee Co. or unwind on George IV Bridge, where you’ll find a flurry of cool bars and restaurants, like the Elephant House café, where JK Rowling wrote the Harry Potter books. 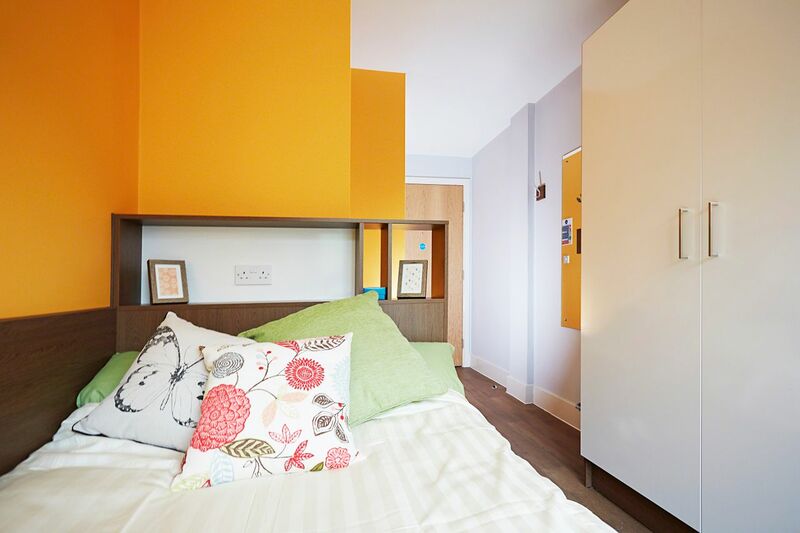 Back at Sugarhouse Close, get a good night’s sleep on your comfortable double bed before that all-important exam, or relax after a long day of lectures with a hot shower in your private ensuite. All rooms include a spacious study area, giving you the peace and quiet you need to concentrate on your work, while the free Wi-Fi will make sure you’re able to keep up with your work and your family online. Because student life is about more than just studying, there are plenty of exciting social spaces at Sugarhouse Close. Head to your shared kitchens to catch up with your flatmates over dinner, or tune into your favourite TV shows. Even if you choose a studio with your own private kitchen and bathroom, you can meet friends in the communal games room. Laze on the comfy leather sofas or challenge your housemates to a game of pool. In the summer, you can soak up the sun in the courtyard. An onsite laundry and a helpful management team make it easy to adjust to student life, while all-inclusive bills help you to keep tabs on your budget. Stock up on groceries at the supermarket next door, and enjoy peace of mind knowing you’re protected by round-the-clock security. 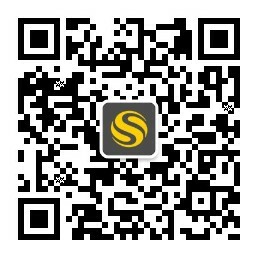 We couldn't find a room that matches your preferencesView all Private Room in Sugarhouse Close. We couldn't find a room that matches your preferencesView all Entire Place in Sugarhouse Close.